Retail has always been a highly dynamic industry, intensely competitive and fighting for a share of the wider consumer spending pot. This is an industry used to dealing with a constant diet of change. However, the change we are seeing today is far more profound than anything the past has thrown up. We are now seeing by far the most challenging period in retail history. A reshaping of the industry’s structure and economics is unfolding, and most of the real change is yet to happen. Richardtalksretail is focused on analysing this change, anticipating the implications, and mapping how the key players across the various sectors are dealing with it. The regular Blogs in this public section of the site are a taster of the much more detailed analysis and forecasts in the premium section, reserved for subscribers. If you want to know more, please get in touch. This morning’s results from the Partnership were very much as expected. Smart management of expectations should mean that most stakeholders knew what to expect. And the pivotal stakeholders for the Partnership are the partners. Its founder John Spedan Lewis laid down his philosophy nearly 100 years ago. There was much he could not possibly foresee but the Partnership has bust a gut to adhere to his principles ever since. In most respects, his philosophy has been a massive asset. It’s why it not merely different but superior to the majority of its competitors. 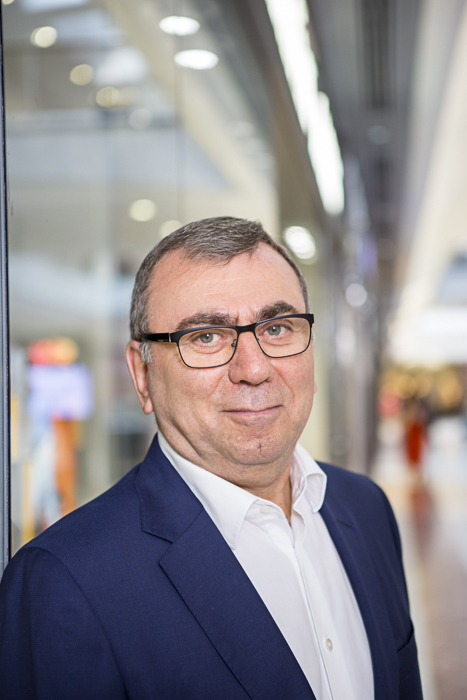 At the heart of the Partnership are the partners themselves, Spedan believed that if the business could achieve the happiness of partners, much of the rest would follow. Getting a 3% bonus looks awful when compared with the 20% of 2008. However, this is an unrealistic perspective. In reality the company will never again be able to pay a bonus of that kind. One of the few things we can be certain about is that retail is becoming a progressively less profitable element in the distribution chain. Indeed, many players in that chain are in the throws of a slow, painful death – they no longer pass the test of economic viability. It is increasingly pointless to judge retail businesses against their own historical performance. None will emerge in good shape. In this long drawn out, painful period the key is to outperform your peer group. That is the only meaningful context and using that fundamental criterion, JLP’s numbers today are OK. Of course they could be better, but probably not much. The business faces huge challenges. At the heart of these is price and price position. Both brands are middle market players. They both SHOULD be more expensive than those pitched below them. Only one player in any market can be cheapest at any time. The imperative for the ones above is to justify their higher prices through added value. And in JLP’s case, much of this is about partners. John Lewis and Waitrose have a genuine edge in service. Investing in defending and enhancing that edge is 100% right. This week’s announcement from M&S and Ocado was just the latest in a series of major moves in food retailing. Quite a number of these seem, to me at least, to have been driven more by external considerations than internal ones. This latest development is great for Ocado and its quest to be a tech business rather than a retailer. For Marks, it’s much harder to see the rationale. People rightly say that online grocery is growing faster than physical. But why would you want to chase unprofitable sales, thus diluting your already very low margin food business? M&S was very keen to highlight the fantastic opportunities it would unlock. Better buying terms through higher volumes. Enabling core M&S clothing customers who want to buy food online the chance to buy M&S, instead shopping elsewhere. Adding Ocado own brand product into M&S stores, creating an entry level offering. However, will lost Waitrose customers be matched or exceeded by gained M&S ones? And in stores, a wider offer will not be easily accommodated in existing footprints. M&S already has long-standing weak food availability, and adding SKUs will pose significant operational challenges in what will remain by far the most important part of the business. The two parties announced that had the JV been trading for the past year it would have posted sales of £1.5bn and EBITDA of £34m. There was no detail behind this but given that we were also told Waitrose represented 25% of Ocado sales revenue, have they simply assumed M&S will substitute all of Waitrose business ie sales of £367m? In recent times M&S leadership has emphasised its commitment to building a serious online retail business by adopting the phrase “digital first” to reflect ranging decisions across its clothing will be driven by online. Today, it talked about the same approach in food. I find this worrying. With online clothing sales at just under 19% and M&S/Ocado food (assuming Waitrose’ sales levels as a base) at 6%, this seems like the tail wagging the dog. Indeed, by profit the numbers for physical retail would be vastly more dominant still. The stock market has marked Marks’ shares down by 12.5%. The dividend cut of 40% on what was once one of the true “blue chip stocks” is symbolic of a company moving away from what used to be its core values. I share the market’s scepticism. 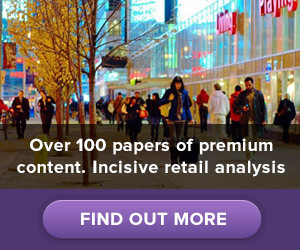 Sign up today for exclusive access to world-leading expertise in the retail sector.